The Lorena gold mine joint venture is investigating pit design modifications to increase the mineable resources. A preliminary re-design of the pit, based on an updated block model, has shown that a cut-back to the south-east corner of the pit could deliver up to an additional 9000ozs of gold at an average grade of 4-4.5g/t, according to Malachite Resources. The economics of carrying out the cut back were encouraging, with further work underway to confirm the viability of revising the pit for mining purposes, the company said. 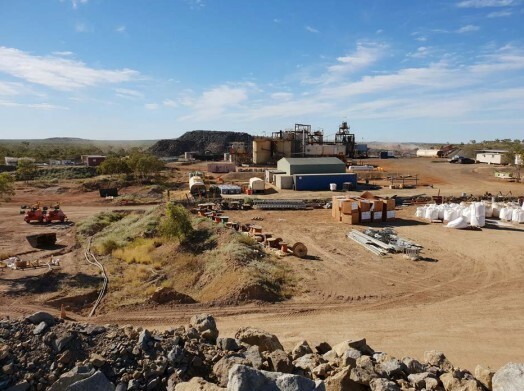 The Lorena gold project, 15km east of Cloncurry, is a joint venture between Malachite (55 per cent), Cloncurry Gold Recovery Management (30 per cent) and Ore Processing Services (15 per cent). Commissioning of the project was substantially completed in the March 2018 quarter and the first gold pour was announced in early April. In May, the decision was made to temporarily suspend mining operations from the pit with the aim of resuming mining activities later in the year, Malachite said. This came as sufficient ore had been stockpiled on the ROM pad to provide feed to the processing plant for about six months and while the issue of pit design was determined.